At ScanLife, we’re always excited to see QR Codes used in unique and innovative ways. 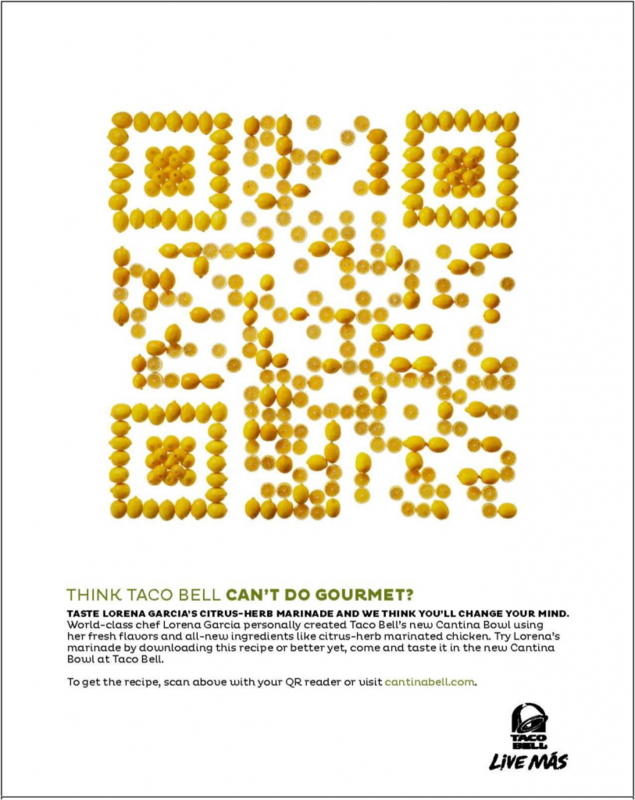 After great success with their Doritos Los Tacos and MTV VMA campaigns, Taco Bell has continued its tradition of innovative QR Code implementation with the launch of their new Cantina Bell Menu. The quick serve giant has deployed ScanLife powered QR Codes as part of a print campaign that’s running across major publications like People and US Weekly. 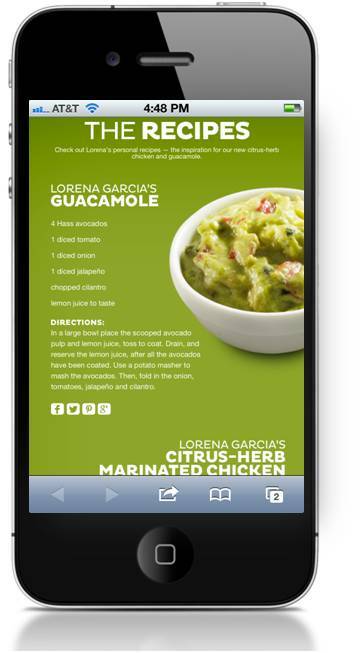 The QR Code (pictured above) is the centerpiece of the ad and is literally made of fresh ingredients like lemons and avocados. The code is connecting users to a mobile optimized landing page which delivers all types of Cantina Bell content. You can even see the making of the QR Code which was no small task! Once on the mobile page, you can find descriptions and nutritional information on each product as well as recipe ideas from celebrity chefs and the ability to share each item via social media. Users can also find additional options such as a nearest store locator and “tell us what you think” page, where people can easily tweet their thoughts from their Twitter profile. Kudos to Taco Bell as this campaign is another strong example of using valuable mobile content to engage customers with their brand.